Should You Exercise If You Have IBD? Exercise is a part of a healthy lifestyle and a certain amount is recommended every day. For people who have a chronic illness such as inflammatory bowel disease (IBD), getting daily exercise is a trickier prospect. For people who live with Crohn's disease or ulcerative colitis, being able to exercise on a regular basis is not always possible for a variety of reasons. IBD can lead to flaring symptoms, poor sleep quality, and fatigue, which can all make exercise seem impossible. Research shows in many cases that when people with mild to moderate IBD make an effort to get some exercise, it helps improve quality of life. While IBD can make it difficult, it may be helpful to try a low-impact program under the guidance of a physician. In fact, exercise may be helpful for many of the extra-intestinal manifestations of IBD or other health challenges, too. Studies conducted on people who do not have IBD show that the immune system can benefit from adopting a program of low to moderate intensity exercise. Moderate exercise seems to have a protective effect, while a lot of high-intensity activity may be disruptive to the functioning of the immune system. This means that getting a moderate amount of exercise could help in fighting off common infections. In addition, moderate exercise could also decrease fat in the abdomen (visceral fat), which tends to be associated with better health and also helps release chemicals in the body that repair the lining of the intestine. The effect that exercise has on people with IBD has not yet been widely studied. In most cases, the research available includes only small numbers of patients and may not include any controls for making comparisons. Even so, it’s generally accepted that some type of exercise is recommended for everyone, as long as it is tailored to current physical condition and fitness level. The surgeon general recommends 150 minutes of moderate aerobic physical activity per week—this could also be translated into 75 minutes of vigorous-intensity activity per week. For even more health benefits, 300 minutes of moderate-intensity or 150 minutes of vigorous-intensity exercise per week is recommended. Moderate or high-intensity exercise that strengthens muscles is also recommended on two or more days per week. From the limited research that is available, it seems that a low to a moderate-intensity exercise program can have some benefits for people with IBD, especially in Crohn’s disease. It's also been shown to be effective for those with mild to moderate ulcerative colitis. It’s worth noting that some studies had subjects walk for 30 minutes three times per week, which is less than what is suggested by the surgeon general for healthy activity in adults (150 minutes a week). While 150 minutes may sound like a lot, 30 minutes three times per week might be more achievable and still effective. One review study published by IBD experts at the University of North Carolina at Chapel Hill concludes that exercise is generally safe for people with IBD. The authors of this study point out that exercise is something that practitioners can help patients to do for themselves, which may have a positive effect on the disease and on quality of life. It's a challenge for gastroenterologists to provide a lot of detailed guidance on exercise—IBD is complex and there are factors that are out of a patient’s control. Unfortunately, there is currently not much knowledge on how exercise might affect the disease. IBD goes beyond the digestive tract, which means that people with IBD may get some benefits from exercise on extra-intestinal manifestations, too. Studies show that exercise helps improve quality of life for many people with IBD, which could translate to benefits on overall health. An inflammation of the sacroiliac joints, which is called sacroiliitis, is more common in people who have IBD. The sacroiliac joints are located where the lower spine connects to the pelvis. Sacroiliitis is a characteristic of some forms of arthritis and may be a precursor to one specific type called ankylosing spondylitis. While it’s still relatively uncommon, ankylosing spondylitis is a type of arthritis that causes inflammation in the spine and is more frequently found in people who have IBD. This condition can lead to rigidity in the spine, which may limit movement. Exercise under the guidance of healthcare professionals is often part of a treatment plan for ankylosing spondylitis. An exercise regimen may have the effect of increasing or maintaining flexibility as well as providing some pain relief. People with IBD have higher rates of developing osteoporosis than do people without IBD. Several factors contribute to this, including calcium deficiency, malnutrition, and the use of steroid medications to treat IBD. Exercise, and in particular, weight-bearing exercises, can help maintain bone density. 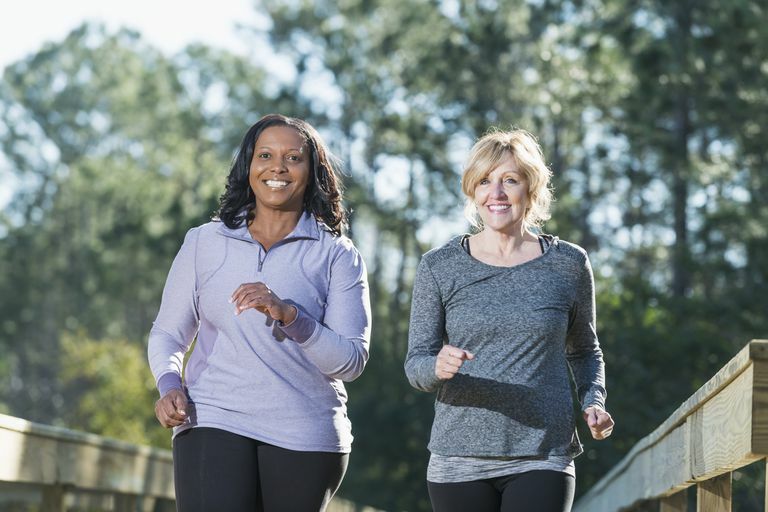 Working with a physician to determine the risk of bone loss, which types of exercise are useful, and how much you should exercise can be helpful preventative measures. There is some evidence that people with IBD may experience depression more often than otherwise healthy people. This makes sense, as living with a chronic illness is challenging—IBD is complex, difficult to treat, and can impact quality of life. Exercise may benefit some as it has been shown to help for mood disorders. Depression specifically was not a focus of the studies of exercise and Crohn’s disease or ulcerative colitis, but patients did report that their quality of life improved after starting an exercise program. It might seem counter-intuitive, but an exercise program could be helpful in coping with IBD-related fatigue. Fatigue is often discussed by patients as having a major impact on quality of life and a reason to avoid starting an exercise regimen. One study measured muscle fatigue with clinical tools as well as self-reported fatigue in people with Crohn’s disease and in healthy controls. The researchers measured that the study participants with Crohn’s disease did have more muscle fatigue. These participants also reported feeling more fatigued than the healthy group. After starting an exercise program, there was an improvement in the fatigue measured for those with IBD—subjects reported feeling significantly better, too. In some cases, low-impact exercise may be best for people living with IBD. One small study of 32 patients evaluated how walking affects quality of life in patients with Crohn’s disease. The patients in the study were in remission or had a mild form of the disease. The prescribed program was to walk for 30 minutes three times per week for 12 weeks. All of the study participants completed the program. Patients completed a survey every month during the study to see how they were doing. Researchers reported that the activity didn’t seem to have a measurable effect on the Crohn’s disease patients, but the patients did report an improvement in their quality of life. There are several other examples of studies where IBD patients take part in exercise programs and do not report any worsening of their symptoms. In probably the most impactful study done to date, 308 patients with Crohn's disease in remission and 549 patients with ulcerative or indeterminate colitis in remission were asked about exercise. The study found that those with Crohn’s in remission who exercised were less likely to have their disease flare up after six months. The people with ulcerative colitis or indeterminate colitis in remission were also less likely to have a disease recurrence at six months, but the results weren’t statistically significant in this study. Exercise has been shown to have important benefits and is therefore recommended for just about everyone in some form. Especially with cases of remission or mild disease activity, exercise has been shown to offer benefits in quality of life for people with IBD. To start, working with a healthcare professional to design a program is important—low-impact activities may be recommended in the beginning. Some things to discuss include how exercise might lead to an improvement in mood, quality of life, fitness level, range of motion, flexibility, and reduction of pain. Office of Disease Prevention and Health Promotion. 2008 Physical Activity Guidelines for Americans, Summary. Health.gov.